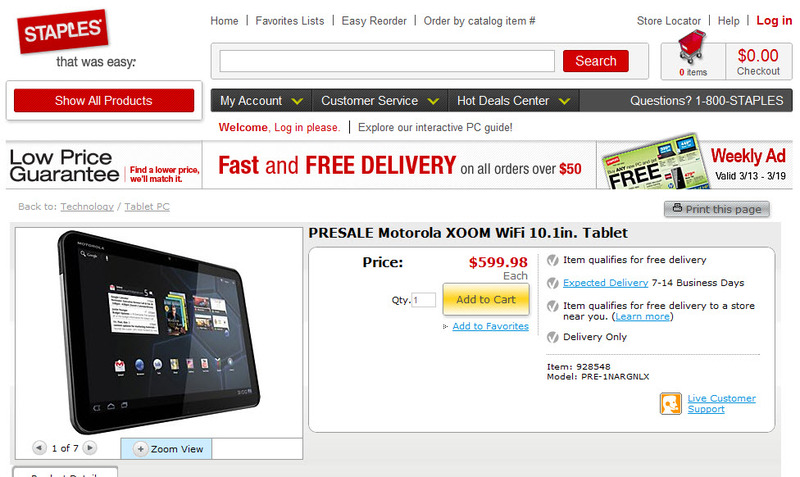 The Motorola XOOM Wi-Fi is approaching faster than I think anyone expected. A pre-sale started this morning at Costco, and now Staples has joined in on the party. As you may remember, our friends at Staples helped us spread a lot of news about this wifi-only XOOM, so we’ve got to show them some love now that the device can finally be ordered. It’s $599, will ship on March 25th, and should arrive on either the 27th or 28th. Yay!